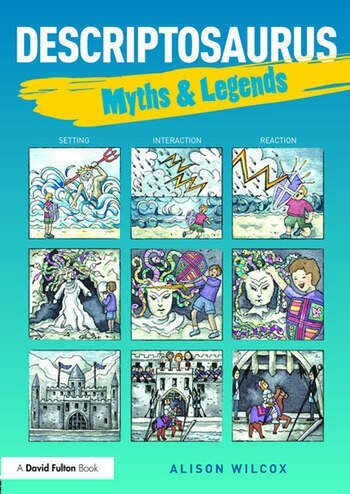 Descriptosaurus: Myths & Legends builds on the vocabulary and descriptive phrases introduced in the original bestselling Descriptosaurus and, within the context of myths and legends, develops the structure and use of the words and phrases to promote colourful cinematic writing. This essential guide will enable children to take their writing to the next level, combine their descriptions of setting and character and show how the two interact. Children can then experiment with heroes, gods and supernatural beings to create a legendary story. This new system also provides a contextualised alternative to grammar textbooks and will assist children in acquiring, understanding and applying the grammar they will need to improve their writing, both creative and technical. Alison Wilcox has extensive teaching experience in schools in England and Scotland. Colleagues describe her methods as 'innovative and inspirational to even the most reluctant of writers'.